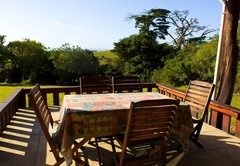 Oribi Haven is a property providing self catering in Kasouga for tourists visiting the Sunshine Coast region. 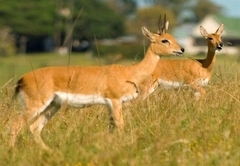 Oribi Haven is on Kasouga Farm between Port Alfred and Kenton on Sea on the R72. 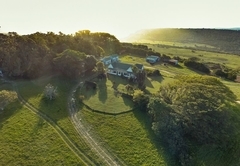 The farm runs along the coast for about 5kms with the two cottages and farm house set back about 2kms from the beach with awesome view of the sea and the rolling hills. 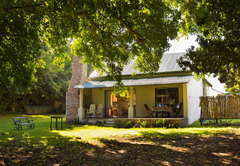 Has two bedrooms with one bathroom and an open plan living area extending out onto the veranda with a wooden deck under a magnificent, huge wild fig tree looking out to the sea. 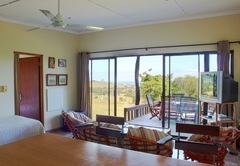 Has two bedrooms, each with their own bathroom.There is a large open plan living area leading out onto a wooden deck with an awesome view of the sea and the rolling hills. 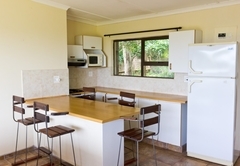 Guinea Fowl Cottage is slightly more spacious and more private than Dairy Cottage. Total amount of people in both cottages will be 10-11. 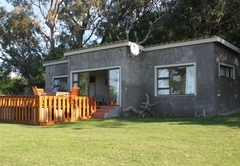 The cottages are serviced daily – there is a fully equipped kitchen with Weber and portable braai. 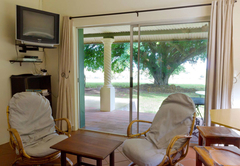 The cottages are equipped with DSTV and a DVD machine. 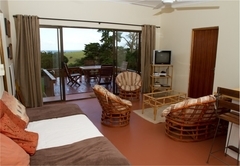 Each cottage has its own swing ball, sand boards and a small plastic blow up pool. 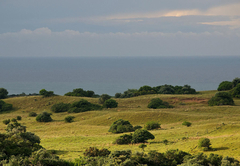 Kasouga Farm is a 1500 ha coastal grasslands cattle farm, with plenty of game and the most fabulous beach. 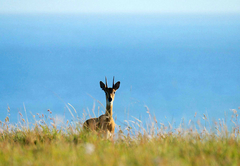 Kasouga Farm has been nominated a Natural Heritage Site due to the largest population of the Oribi Antelope in the southern hemisphere and Oribi Haven gives you an awesome game / farm and beach experience all wrapped up in one. 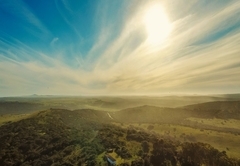 We offer farm / game drives on request in our farm vehicle, otherwise if you have your own high clearance or 4x4 vehicle, then the farm is yours to explore. 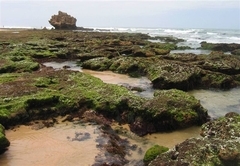 Plenty of activities are available on the property: Fishing, sand boarding, beach and farm walks, cycling (bring own bikes), bird and game viewing / photography. 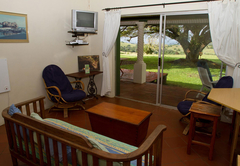 Or simply a place to pick up your feet and relax; enjoy the peace and beauty of Oribi Haven. 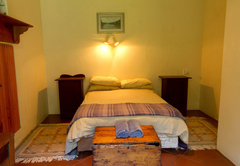 Two bedroomed cottage each with en-suite shower. One with king size bed plus single bed on request. One with 2 x single beds. Open plan living area & covered view deck with furniture. Kitchen with stove and microwave. DSTV. Linen, towels, portable braai . 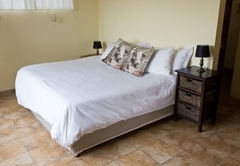 Two bedroomed cottage with shared shower. One with double bed and one with 2 x single beds. Large open plan living area leading to covered view deck with furniture. Kitchen with stove and microwave. DSTV. 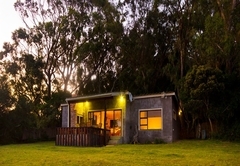 Linen, towels, braai, wi-fi. 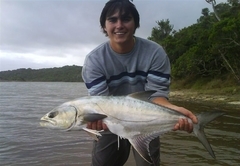 Response timeOribi Haven typically responds to requests in 5-10 minutes.